This cello fell over and landed on it's back. 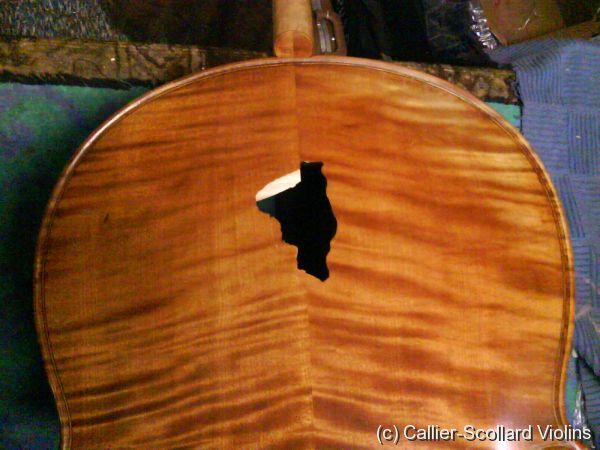 It was in a soft case and when it landed it must have hit the buckle on the back which forced all of the pressure to one spot and punched a hole straight through the curly maple back. 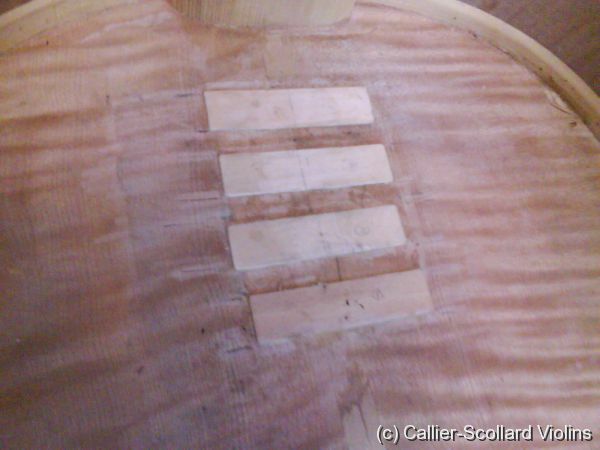 I decided to repair the cello by removing the top because it's a little easier and safer for the instrument to remove the top and it's a little quicker so I can charge a little less. The first step was to piece together the shards of maple. Because of the nature of the fractures I needed to have two pieces. 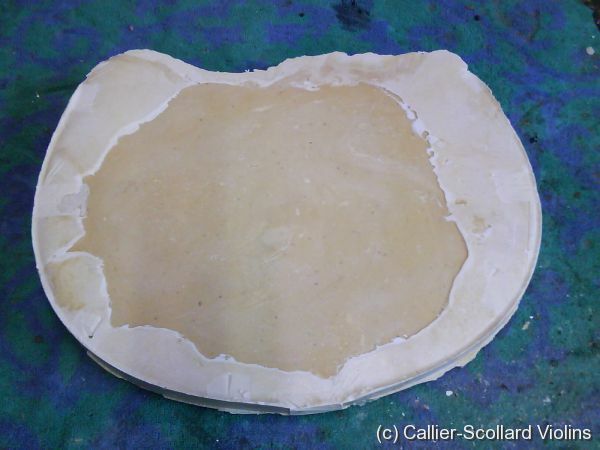 Then I made a plaster mold to support the back. 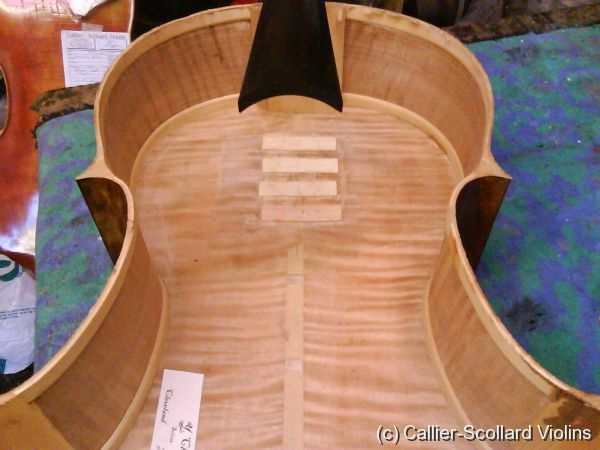 The two pieces were then glued into the hole. 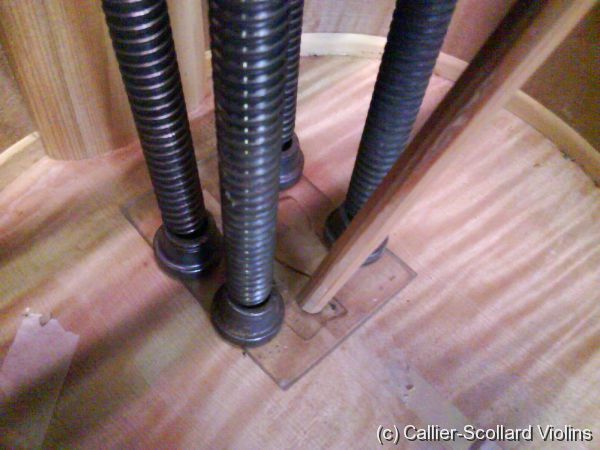 Staggered cleats were added to support the broken pieces. I fixed a couple of previous rib cracks and then put the top back on and did the varnish touch up. 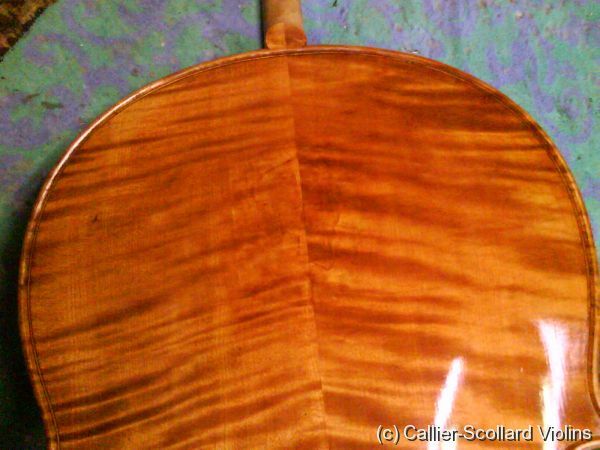 Here are some shots of how I repaired the hole in the cello back. Clever workmanship with an excellent end-result.